Free Amerzone: Part 2 download for PC - Full Demo or Buy it now at PopGamers.com! Sign in. Or Sign up to be a PopGamer! Continue your amazing Adventure in Amerzone: Part 2! A dying explorer has entrusted you with an egg that was stolen over 50 years ago. Now it’s up to you to return the egg to ensure the survival of the incredible White Birds. 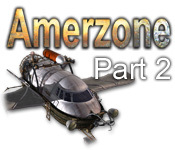 Travel across the globe and look for valuable clues as to the location of the Amerzone. Find their mystical birds and go on a unique adventure in Amerzone: Part 2! Return an egg to the Amerzone! Be the first to write a Review and earn 30 Points!